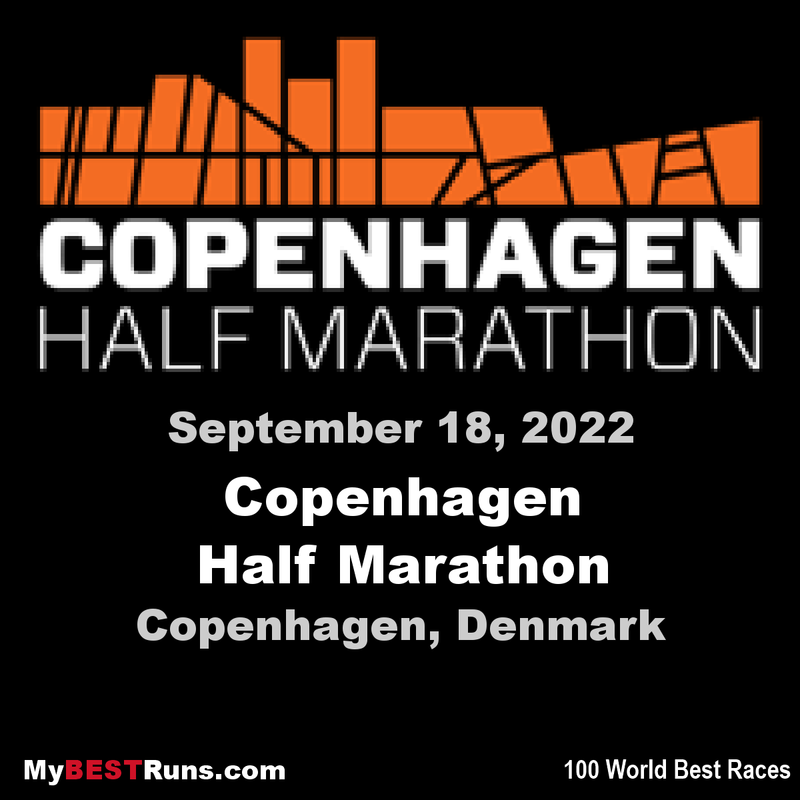 The Copenhagen Half Marathon wasthe first road race in Scandinavia and is one of the fastest half marathons in the world. The Copenhagen Half Marathon has been awarded with the International Association of Athletics Federation's (IAAF) most distinguished recognition - the IAAF Road Race Gold Label. 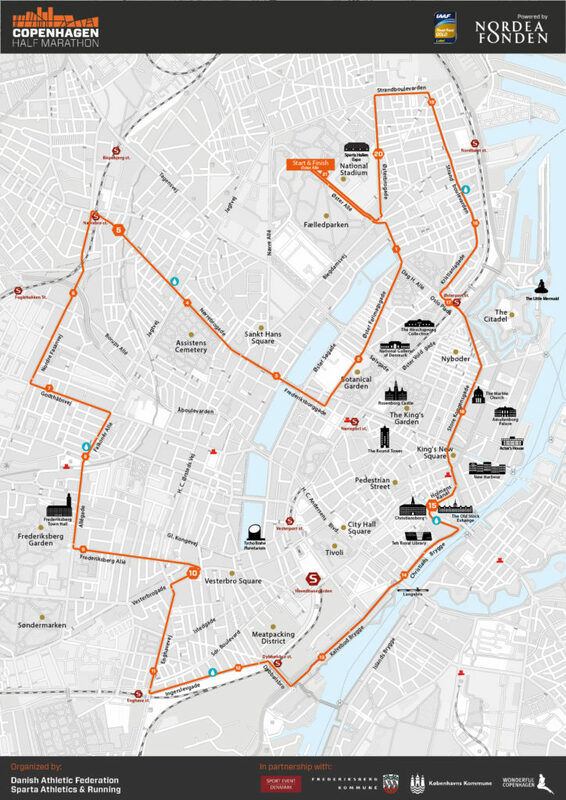 Copenhagen Half Marathon was awarded the IAAF Road Race Bronze Label in January 2015 as the first race throughout the Nordic countries. In January 2016 the race obtained the IAAF Road Race Silver Label. 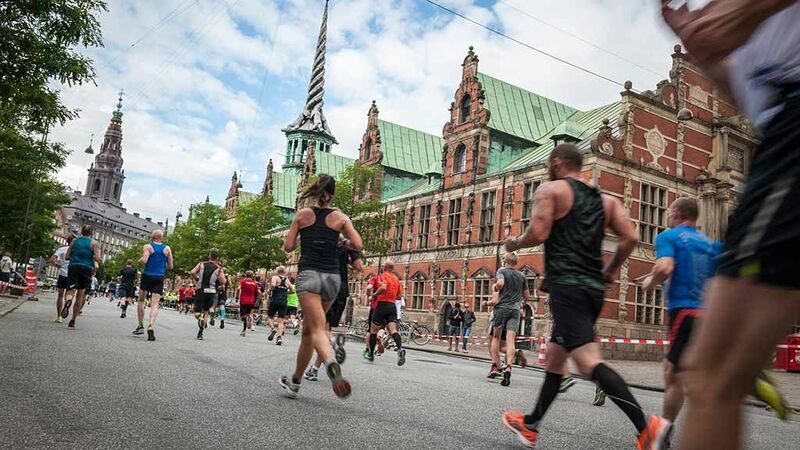 After only two race editions, the Copenhagen Half Marathon has received the prestigious IAAF Gold Label, thus claiming a place among the very best races in the world. I have heard many good things about this race. It is a fast course too. In fact the second fastest time of the year was run here. (2018) In her first serious attempt at the distance, European 5000m champion Sifan Hassan took more than a minute off the European record at the Copenhagen Half Marathon on Sunday ( September 16), winning the IAAF Gold Label road race in a course record of 1:05:15. The Dutch runner showed that she is not only a world-class runner on the track but also on the road, improving on the continental mark of 1:06:25 set 11 years ago by her compatriot Lornah Kiplagat in Udine. In near perfect weather conditions, the 25-year-old was ultimately just 24 seconds shy of the world record. Hassan started out fast and stuck to pre-race favourite Joan Chelimo Melly, who had announced beforehand that she would be targeting the world record. The Kenyan appeared to be on course for her goal after passing through five kilometres in 15:06 and 10 kilometres in 30:36. Two-time world bronze medallist Hassan was the only woman who could match that pace, but even she lost grip on the Kenyan at several points throughout the race. She finally settled into a rhythm, though, and passed 15 kilometres in 46:09, still with Melly for company. Hassan, who last week won the 3000m at the IAAF Continental Cup Ostrava 2018 in a world-leading 8:27.50, broke free from Melly in the closing stages and went on to win in 1:05:15. Ababel Yeshaneh came through for second place in an Ethiopian record of 1:05:46 with Melly finishing third in 1:06:15. With four women finishing inside 67 minutes and another four finishing within 68, it was the deepest half marathon ever held on European soil. Much like the women’s contest, the men’s race also proved to be one of the highest quality half marathons in history. Before the race there had been talk of a world record, but as the lead pack passed through the opening 10 kilometres in 28:10, they knew it would be a tall order to achieve that goal. Several men were still in contention, though, as the field reached 15 kilometres in 42:02 with Kipchumba, Abraham Kiptum, Yomif Kejelcha, Jemal Yimer, Felix Kibitok and Edwin Kiptoo all featuring in the lead group. With Kiptum close behind, Kipchumba gradually pulled away from the field in the closing kilometres and kicked on to win in 59:06, equalling the PB he set earlier in the year on his debut at the distance when winning in Verbania. His next half marathon will be in New Delhi on 21 October. Kiptum finished close behind in 59:09 with Yimer taking third place in 59:14. Kejelcha, contesting his first ever half marathon, finished fourth in 59:17. The first eight men finished 60 minutes, underlining Copenhagen’s status as one of the fastest half marathons in the world.